The spine is made up of nerves. These nerves allow your brain to send signals to your body. A spinal cord injury can be very serious and life-altering. Back injuries can be quite severe as well. But, injuries to the spinal column itself can lead to paralysis or partial paralysis and can affect your bodily functions and your daily life. If your spinal cord injury was caused by someone else’s negligence, then you deserve full and maximum compensation for the harm that has befallen you. Not only will you need this compensation in order to pay for care and adapt to your injury, but you also deserve it because someone else’s careless actions led you into these tragic circumstances. To find out if you have a claim and how our experienced Mobile attorneys can fight on your behalf, please call Long & Long, Attorneys at Law, at (251) 432-2277. A complete injury means your brain can’t send signals below where the injury occurred. You are paralyzed from that point downward. Incomplete injuries leave you with limited movement below the injury. The vast majority of injuries each year are partial severs. They typically involve a broken spinal vertebra. The damage is worsened if pieces of this bone penetrate or compress the nerves or cord tissue. 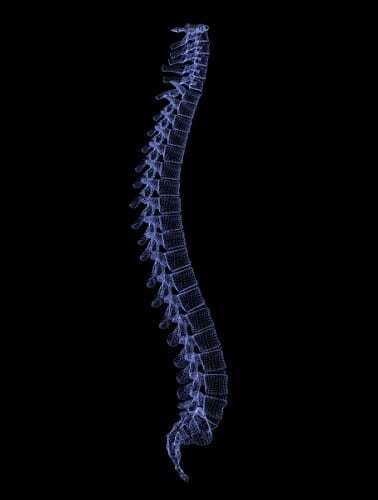 These vertebrae protect and support the vital nerves of the spinal cord. The higher the injury, the greater the loss of sensation and movement. The attorneys at Long & Long work aggressively to represent your best interests. The insurance companies are not on your side. Even your own insurance company wants to pay out as little as possible. We will be knowledgeable, thorough advocates working for you and you alone. What About Back and Neck Injuries? 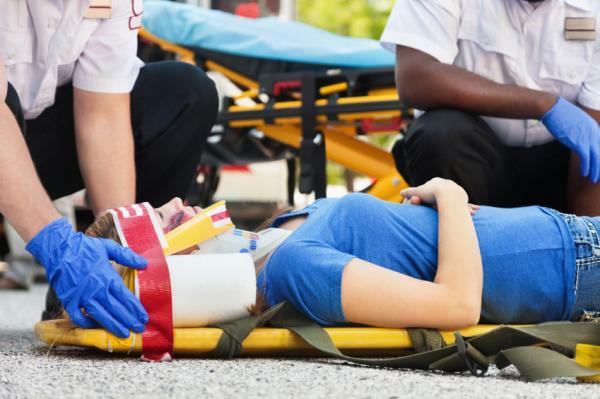 Depending on the exact nature of the injury, back trauma can be fairly serious. You may need extensive and expensive medical care. You may be unable to return to work, which can make it impossible to pay for your care. We will help you pursue every dollar you are due. The neck can be particularly vulnerable, especially in vehicle accidents, because the structure of the neck, or cervical spine, is a delicately balanced mechanism that must provide a broad range of motion while supporting the head. The primary causes of severe neck injury during accidents are hyperextension, in which the head is extended further back than normal; and hyperflexion, in which the head is extended further forward than normal. Both hyperextension and hyperflexion are common during collisions. Common neck injuries include damage to the soft tissues (the ligaments and muscles of the neck) such as whiplash; and fracture or dislocation, which, in extreme cases, can cause paralysis. We cannot guarantee that compensation will be recovered in your claim, but we pledge to you that we will not stop working until the best possible outcomes have been produced. We will pursue all paths to recovering compensation, including taking a case to trial when needed. Your claim seeks compensation for all of these things and others. Who are the victims of spinal cord injury? Over 80% of all spinal cord injury victims are men, with an average age of about 40. Most victims have a job, but the majority are single, without children. Do people recover from spinal cord injury? Rarely. Although a spinal cord injury victim may recover some function of affected limbs as long as 18 months after the incident, only a very small fraction ever recover full function. No, although there are many promising avenues of research. We can hope for a cure, but the primary focus must be on helping spinal cord injury victims to adapt to their injuries. What is the estimated lifetime cost of spinal cord injury? Spinal cord injury can be initially very expensive with ongoing expenses. In 2008, the estimated lifetime cost for a 25-year-old high quadriplegia victim (C1-C4) was over $3 million, with over $800,000 in expenses during the first year alone. For a paraplegic, the lifetime cost is over $1 million, with nearly $300,000 in expenses during the first year. This does not take into account the lost wages of a spinal cord injury victim, which averages about $65,000 a year. Can spinal cord injury victims work? Many spinal cord injury victims can work, and most want to. However, it takes time for spinal cord injury victims to adapt to their injuries. One year after injury, only about 12% of victims are employed, a figure that rises to about 35% by 20 years after injury. Few of them are able to match their pre-injury levels of income. Do spinal cord injury victims have a shortened lifespan? Unfortunately, yes, although they enjoy much longer lives than in the past. A person who becomes paraplegic at age 20 has a life expectancy of about 65. A person who becomes quadriplegic at age 20 has a life expectancy of about 60. How can a spinal cord injury lawsuit help my loved one? With the high cost of spinal cord injury and difficulty finding employment after injury, a spinal cord injury lawsuit can help your loved one to cover expenses and focus on adapting to his or her injuries. Back injuries sustained from a sudden jolt in a car crash can go undetected, yet cause chronic pain and reduced mobility affecting the rest of your life. That’s why paramedics take precautionary steps to add a neck brace to car crash victims before hospital transportation. Immobilizing the neck area protects the back from further injury. If you suspect that your back pain is the result of a recent automobile accident and the injury wasn’t detected early on, you are not alone. The car accident attorneys at Long & Long in Mobile, Alabama have the experience necessary to represent your legal interests in obtaining compensation needed for back injuries associated with automobile accidents – even those difficult to detect. Please call (251) 432-2277 to begin building your claim for free. Starting at the top of the spine, whiplash is the most common injury in a car accident. Whiplash occurs when the head is whipped quickly forward, then backward from a sudden impact. This type of neck injury can cause damage to joints, discs, nerves, muscles and ligaments of the neck and upper back. The difficulty in diagnosing whiplash often causes the condition to go undetected for a period of time. In the thoracic area (upper back or mid-back), injuries are a less common, but often associated with the discs. The thoracic region is the largest section of the spine, attaches to the rib cage, and protects the vital organs. When an injury to the thoracic area occurs it’s important to catch early. Immediate treatment is more effective than if pain is allowed to worsen. Spinal cord injuries can lead to further medical complications including infections, sexual dysfunction, muscle spasms, loss of bladder control, and centralized pain. Have you or a loved one suffered a spinal cord injury because of someone else’s negligence? If so, you may be entitled to pursue compensation with the help of our Mobile and Orange Beach, Alabama, injury attorneys. For a free consultation, please call Long & Long at (251) 432-2277.